There’s definite movement among the gulls of Vancouver this week. 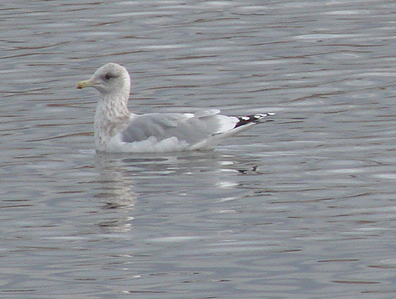 A California Gull was at Kitsilano Pool early this morning, and another adult was on the sewage ponds at Iona with three score Mew Gulls and 19 Thayer’s Gulls as the tide rose mid-day. That taxon is named for John Eliot Thayer, who bankrolled the 1913 Alaska expedition that collected the first specimens. Maybe we’ll hear a little more more about him next year, the 150th anniversary of his birth–but I’ve been thinking about a different Thayer these past days. You will have noticed all the attention being devoted to Richard Crossley’s impressive new ID Guide: for a month now, not a day has gone by without a glowing notice at one blog or another, and my own review seemed almost tardy when I “finally”–two days after receiving the book–posted it at the ABA blog. Birders’ reactions so far (those reactions, that is to say, that have done more than just repeat the breathless jacket text) have concentrated on the guide’s plates, an entirely appropriate focus given the innovative nature of the illustrations in this book that so proudly “doesn’t like text.” And there have been some perceptive characterizations. Spencer, one of the most critically alert birders I know, has pointed out how the vitiation of perspective in the plates highlights the “constructedness” of identification texts, while several ‘bloggers’ have noticed that viewing these plates recalls the contemplation of Victorian dioramas. And not a few reviewers have — rather absurdly — compared Crossley’s photo montages to the work of Louis Agassiz Fuertes. If all you know of Fuertes are the paintings in Pearson’s venerable Birds of America, then I suppose I can squint just hard enough to see it: there is a certain bustle to those images, particularly among the birds of prey, that anticipates in a very distant way the cheek-to-jowl figures in Crossley’s plates. There is a faint stylistic echo, too, in the prominence with which the larger figures seize the foreground. But the source of each work’s pictorial density is very different: economic in the case of Birds of America, pedagogic in Crossley’s. What many of the photographs in Crossley’s ID Guide do remind me of, and sometimes forcefully, is the work and the ideas of Abbott Thayer (no close relation, so far as I know, to John Eliot). 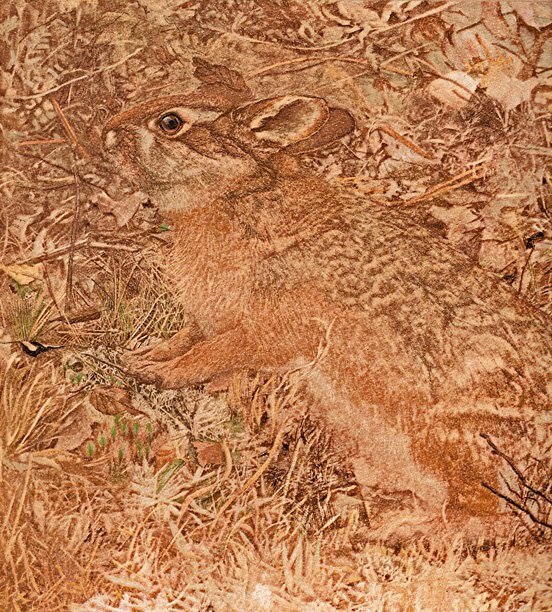 Look at Crossley’s owls, his grouse, his nightjars, his thrushes, and on and on, and you’ll find illustrations–literally–of the Thayerian principles of camouflage and obliteration almost as striking as the artist’s own. 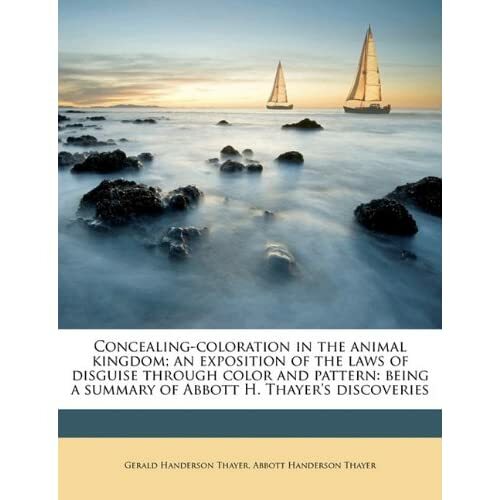 By the time of his death in 1921, Thayer’s theory that all coloration was ultimately and exclusively disruptive was largely dismissed as overstated and inflexible, and his influence on natural history illustration remained negligible at best for nine decades. It’s a great idea, the “illustrated checklist,” and as Princeton University Press keeps turning them out, I’m beginning to wonder whether Ber van Perlo may soon become the only illustrator in history to have painted every bird in the world. Unlike a full-scale (and full-weight) field guide, the Princeton Illustrated Checklists offer only densely packed color plates, with terse facing-page descriptions of field marks, habitat, voice, and distribution. The seven Myiopagis and Elaenia flycatchers in this volume, for example, are dispatched in eight images and 21 lines of tiny type–and share their plate with no fewer than ten other tyrant flycatcher species. A few openings feature as many as 20 species; in the case of the swallows, for example, or the northern warblers, several plumages and attitudes are presented for each species, making the plates so ludicrously crowded as to be essentially useless. This, of course, is the price to be paid for the PICs’ great advantage, their portability. The standard guides to Mexico, Costa Rica, Belize, and Panama combined would add nearly 10 pounds to the thorough birder’s backpack. The present volume, covering all of the bird species in the AOU area south of the United States, comes in at just over a pound, or about one third the dry weight of Howell and Webb; this truly is a pocket book, easy to carry and quick to consult in the field. Many birders over the years have devised their own approach to the weight problem: they have their heavy field guides disbound and the plates assembled into a new, slimmer volume for carrying. But the PIC has several advantages over even this Solomonic solution. First, the facing-page captions in the PIC contain voice and habitat information generally found only in the texts of the larger guides. Furthermore, the PIC includes range maps for each of the species covered, a feature absent from the plates of any of the national guides. Complete indices give English, Spanish, and scientific names for each species. And, perhaps most importantly, the PIC illustrates every one of those species, including, critically, a large number of North American breeders for which the standard field guides, in an attempt to save space and weight, provide only a reference to a North American guide. The paintings, several thousand of them, are the most important component of the PIC. Plumage patterns appear to be depicted accurately, and the level of detail is often surprisingly fine on images so small. Unfortunately, van Perlo has a noticeable tendency to give his birds oddly “friendly” expressions, making even such lean, mean, bug-eating machines as Northern Mockingbirds look downright cuddly. His large parrots grin disarmingly where they should leer threateningly, and I’d hardly think twice at meeting this book’s Great Black-backed Gull in a dark alley. This is unlikely to bother the birder using the volume as a memory jogger, but anyone attempting to learn the birds from this book is likely to be led astray. The inclusion of voice descriptions is a nice touch here, but the terminology used is not intuitive to a native speaker of English, and the definitions provided in the introductory matter are not carried through in the text. The trumpet of Whooping Crane, for example, is described as “high/very high,” terms defined earlier as corresponding to “the average pitch of a woman’s voice (e.g., oystercatcher).” I know very few women whose voice, absent the judicious application of helium gas, is nearly as high as the squealing of an oystercatcher, and the call of the crane is very much lower. Should this book be re-issued, these voice descriptions will require thorough revision. The English and scientific names used in the book rely largely on the AOU Check-List, though with a number of unexpected deviations. Of course, the latest revisions (Tringa, the terns) are not included here–or in any other standard field guide for the American continents. Blue Grosbeak is still given its own monotypic genus Guiraca (merged into Passerina a Supplement or two ago), and its English name here is simply “Grosbeak.” The Spanish names are said to reflect Mexican and Costa Rican usage, though numerous local variants are included in the index. For many birders accustomed to carrying a guide in the field, the PIC will prove a useful and handy aide-mémoire. But it really can be no more than that, and any birder tempted to rely on this as her or his primary guide to the region’s incredibly rich avifauna should resist, and immediately seek immersion in Howell and Webb or in Ridgely’s Panama. I was quite prepared to wax enthusiastic about this new photographic guide to this assembly of nine-primaried oscines: they’re pretty birds, many of them, and the authors have already done the birding community a great favor with their works on emberizid sparrows. But it turns out, surprisingly, that there is little to recommend this new book, and birders who already own a good field guide to North American birds will likely find that they don’t need or use this one. This is another in Princeton University Press’s Photographic Guide series, which thus far includes volumes on hummingbirds, emberizid sparrows, and shorebirds. Where the earlier volumes featured generally excellent photos of their subject birds, most of the images here are neither attractive nor informative. There are exceptions (Laura Erickson’s wonderfully instructive Hoary Redpolls, for example, and a number of Brian Small’s photos), but far too many of these photos are small, poorly composed, and fuzzy, far below the standards routinely attained in photographic guides (or in magazines, for that matter). Even the images of birds in hand and of captive birds are of shockingly low quality; the Carpodacus finches in 31.4, for instance, are distant, out of focus, poorly lit, and awkwardly posed against a dark and ‘busy’ background. I sputtered for hours over the single shot of a Blue-gray Tanager, which is not only horribly blurred, but does not even depict the same subspecies described in the text. The concise texts that accompany the images are much better, but in general add little to the information already available in modern field guides. Each begins with a set of mensural data. As birders have known since the appearance of the Sibley guide half a decade ago, weight information is extremely helpful in gauging the “size” of an unknown bird; all the same, it is surprising to find the average mass of Yellow Grosbeak calculated here from specimens of a different species. “Wing” length is never defined, leaving the reader unsure whether the figure here is the wing chord, flattened wing, or even wingspan; such figures are of little use in the field in any event. The texts continue with information about each species’ habitat, behavior, vocalizations, distributions, and geographic variation; oddly, the descriptions of the birds’ appearance do not come until the end of each account, just before the very helpful discussion of any known hybrid combinations and a short list of references. This is, after all, an identification guide, and it would have made far better sense to move the descriptions, molt discussions, and “similar species” sections to the head of each entry. Perhaps the most useful component in this book are the distribution paragraphs, which provide extremely detailed, state-by-state and province-by-province descriptions of the breeding, winter, and vagrant ranges and abundance of each species. A fairly extensive spot check reveals that these sections are quite up to date and complete, making them a very handy resource for birders interested in range expansions and retractions. The same sampling also finds, however, that the maps were not invariably prepared using the same data as the written descriptions: the map for Northern Cardinal, for example, omits the bird’s occurrence in California, Colorado, and Manitoba, all areas correctly included in the authors’ prose. The main text and photos are preceded by an Introduction of the usual sort, offering cursory advice on identification techniques. The long paragraph (p.3) on taxonomic polysemy and polylexyÂ should have been very carefully edited for clarity; unwilling to believe that William St. could let writing like this out the door, I showed it to a well-educated high-intermediate birder with better than average reading skills, who also found it badly jumbled. The two or three sentences introducing each genus are generally fine, thoughÂ the merger of Guiraca into Passerina seems to have tripped the authors up in their species counts (five of seven Passerina breed north of Mexico). None of this is to suggest that the authors don’t “know their stuff”: they most certainly do. I only wish that they had communicated that stuff more clearly and more attractively than this volume manages to do.